Li'nard Jackson is the heart and soul of Li'nards Many Moods Band and is a New York City legend. 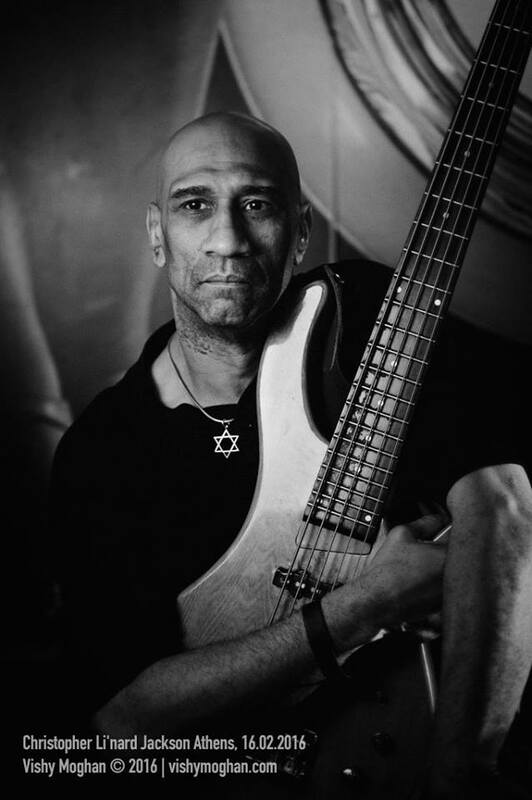 He is recognized as a genius in the art of dynamic, live performance and as a versatile bass guitarist, singer, songwriter and producer of exceptional artistic standards. You HAVE TO see them live to believe it! He began his music career in Richmond, Virginia at an early age. He sang in his church's choir, won a statewide musical rhythm competition at age eight and studied the violin and the bass guitar. He is renowned for his command of a wide range of styles from Dance, Hip Hop and R&B, to West African, Rock, Blues and Reggae. An internship at Philly International Record Label with the songwriting team of Roebuck, Jefferson and Simmons led to work on records with Patti LaBelle, The O'Jays and The Jones Girls. He has contributed to over fifty albums and 175 songs. Before moving to New York, Li'nard played up and down the Eastern seaboard and toured Europe with the groups Defunkt and Mr. Thing and the Professional Human Beings. Li'nard has also performed with Codaryl Moffett Jazz Ensemble and Roy Ayers.He has performed at Manhattan's top nightclubs including The Blue Note, The Bitter End, Terra Blues, Nells and S.O.B. 's The Groove, The Village Underground and The Red Lion..
Tickets are $8.00 in advance and $10.00 at the door.